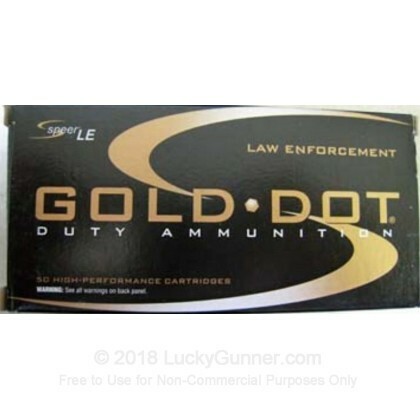 This 40 S&W Speer Gold Dot JHP ammunition is designed for Law Enforcement to give them the ultimate defense that they can rely on when facing a confrontation. 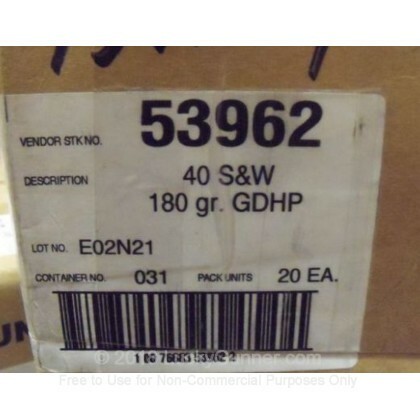 Note: This product is from 2007 and has become available to the public due to some agencies switching from 40 S&W to 45 ACP as their firearm of choice. We are making this available to the civilian public at large and when it is sold out, that's all! 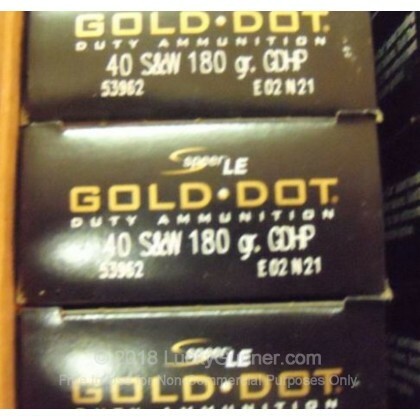 We don't have any reviews yet for this particular .40 S&W (Smith & Wesson) ammo from Speer. If you'd like to be the first to review this particular .40 S&W (Smith & Wesson) ammo from Speer, fill out the form below.